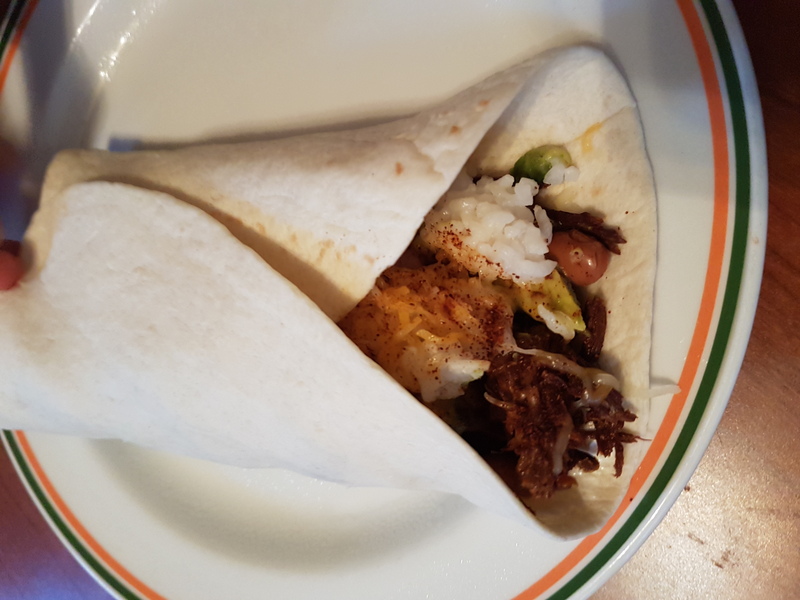 Burritos are a staple in my house, I’d say we have them at least once a week if not more often. They are just so simple to put together, yet always delicious and hit the spot. 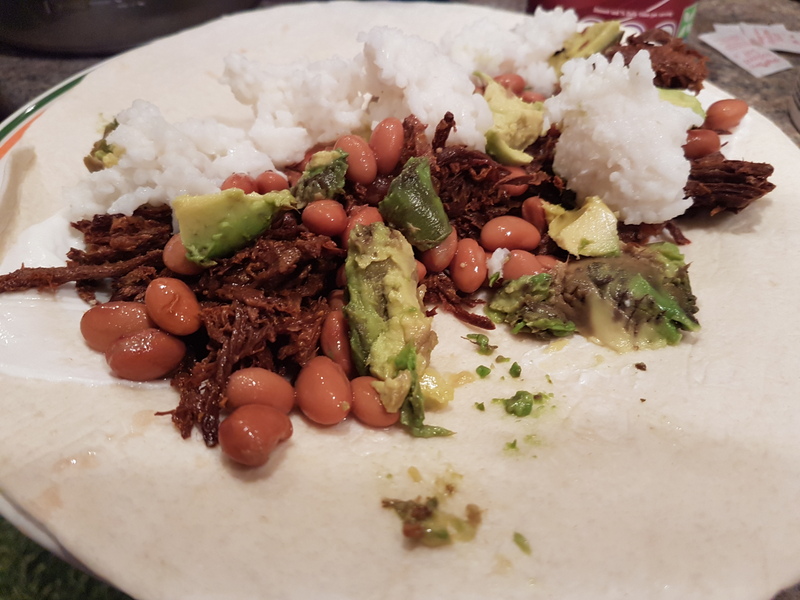 You can use basically any meat you have, just add rice and beans to bulk it up, and whatever toppings you prefer. 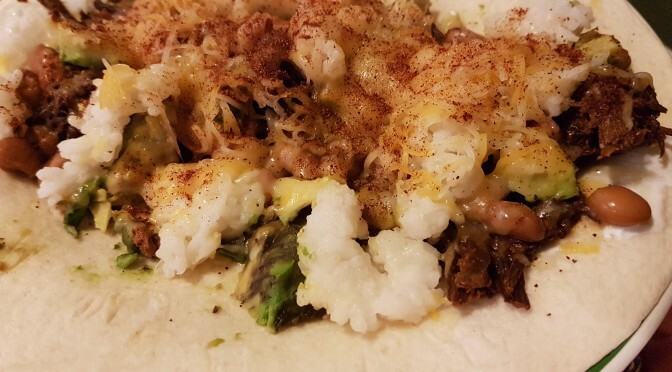 These burritos use pulled pork, with or without BBQ sauce, of which you should have plenty if you’re doing One Week of Meals from One Pork Roast. I would recommend the BBQ, but it is not required. And of course, always customize to your preferences. Step 1: Put the pork loin in a slow cooker with about 1/2 cup of liquid. You can use beer, cola, or stock. Cook on low for about 8 hours, it won’t hurt to go a little shorter or longer. Shred the meat with 2 forks. 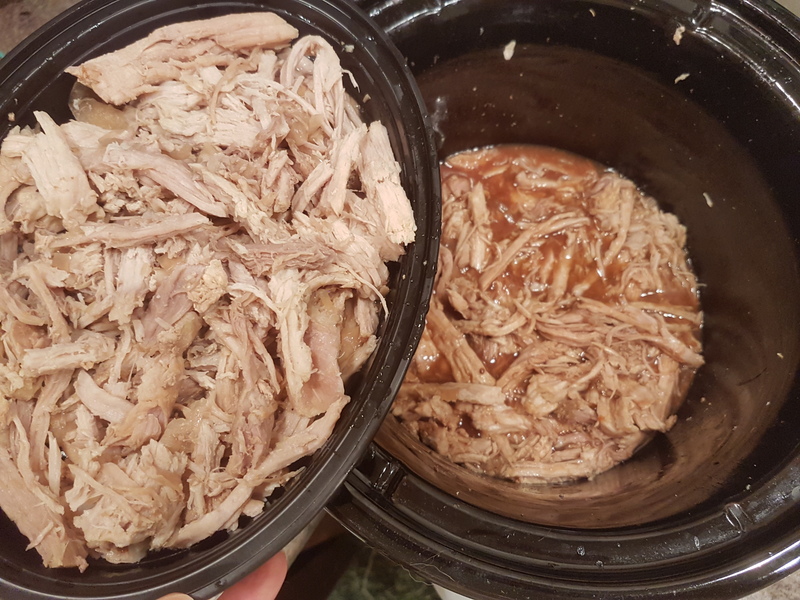 If you want BBQ pulled pork, add 1-2 cups sauce and cook another hour. 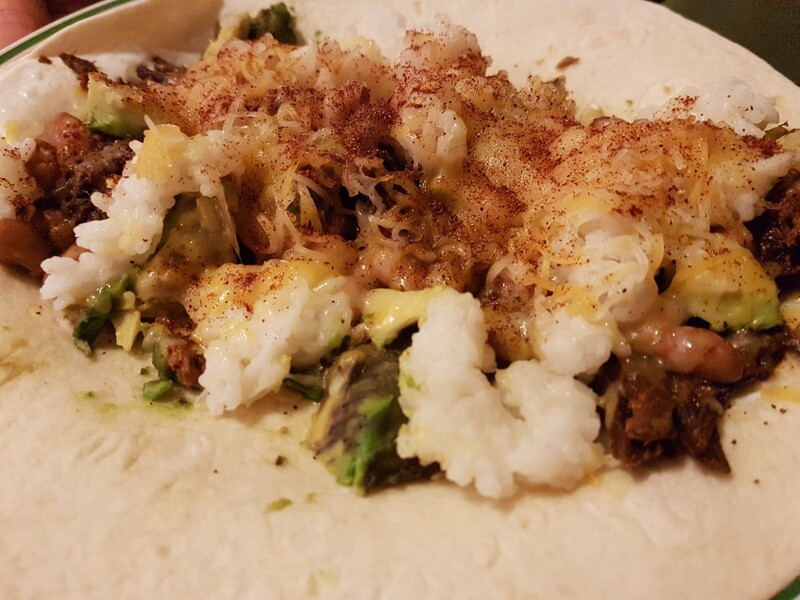 Step 2: Layer all your ingredients in the tortilla. 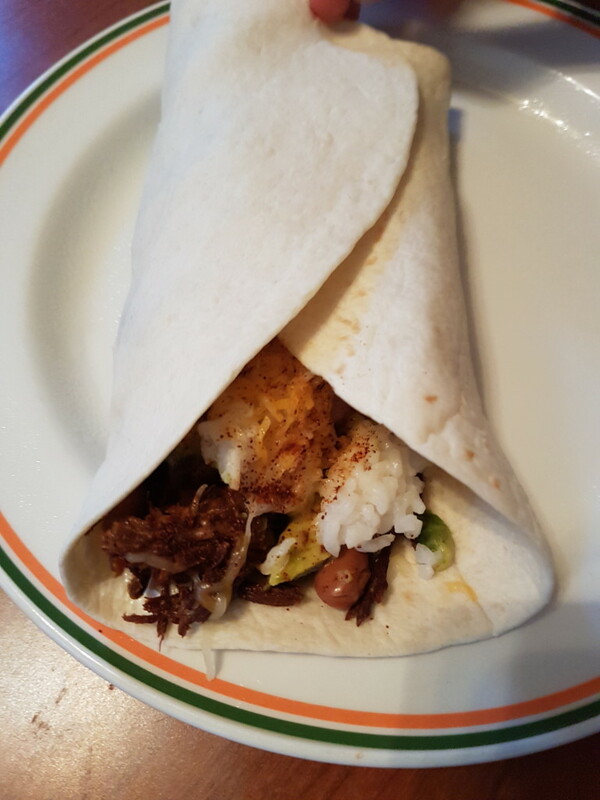 Make sure there’s a good distribution so that once you roll it up, you get a little of everything in each bite! Step 3: The best way to roll is to flip 2 opposing sides in just about 2 inches. Fold the corners over on both sides. Then take one open end and roll it towards the other, scooping the fillings under. Roll it tight, and enjoy!